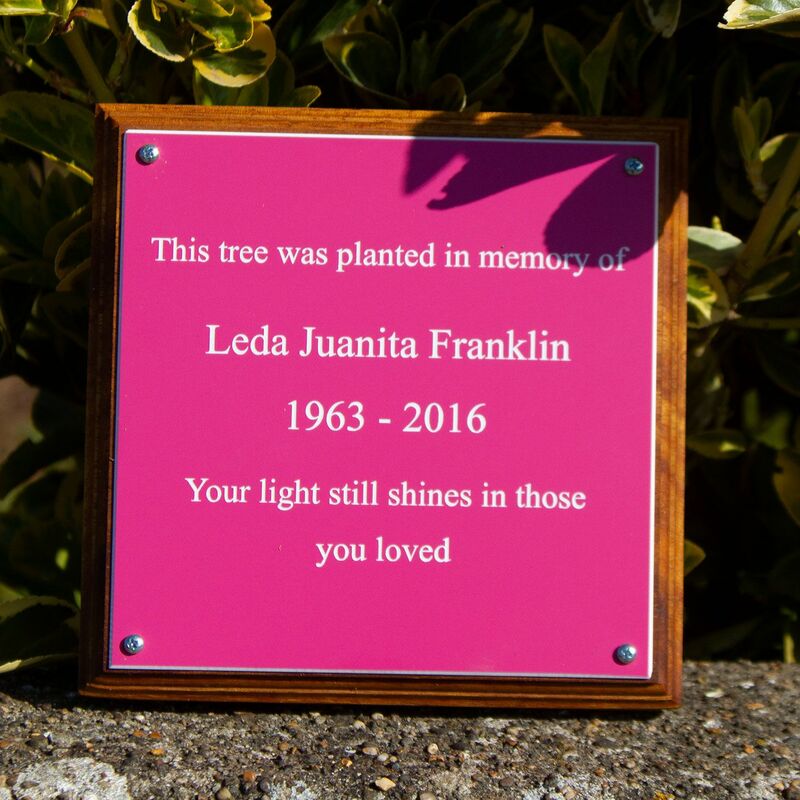 These signs are made from a waterproof acrylic laminate which is maintenance free - making an ideal material for memorial plaques. They are very durable - made from 2 ply 3mm exterior grade flexible acrylic which is weather proof and UV resistant. 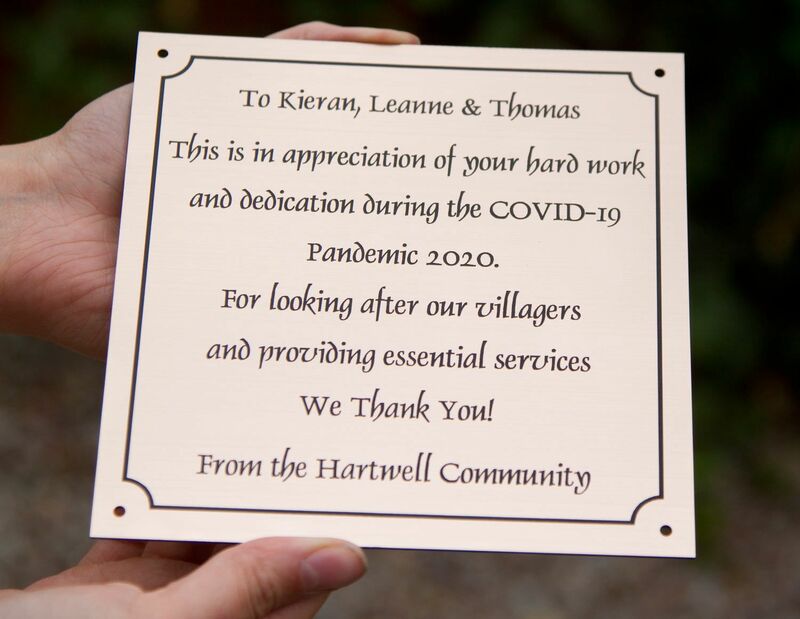 The letters are engraved through the first layer of laminate to show the colour underneath.